Mary McGee is truly an inspirational rider, who has paved the way for many women competitors and riders alike. She started out racing cars in the 1950’s and then got in to motorcycle road racing, enduro, motocross and finally vintage racing in the 2000’s. She started racing long before it was acceptable for women, racing against men simply because there weren’t any women’s classes in racing. And when Mary received the FIM Woman Legend in 2012, she finally decided to get her street riding license, and signed up for a basic motorcycle riding class! Mary turns 80 years old this year, and when you hear her voice in this interview, she just doesn’t sound like your average octogenarian. She’s witty, spry and just sounds way younger than her years. It must be motorcycling that keeps her young, and if that’s the case, then we should all be doing it. Bravo Mary! You are one of our greatest mentors! Brad is the producer of The Ride of My Life videos and website, with the goal of discovering the good stuff, exploring and riding to different places in the world, and to impact lives in a positive way. In April 2016, the people of Ecuador were struck by a 7.8 magnitude earthquake and are still in desperate need of aid. Brad went down to Ecuador and helped a local motorcycle club distribute some supplies to the victims. Brad Barker is planning Operation Ecuador, and is gathering donations of money and supplies to deliver to Ecuador. In partnership with RawHyde, the Coalition of Hope Foundation and the local Ecuador motorcycle club, the Brosters, he is taking a relief shipment down when the containers are full. They are seeking financial and good donations, as well as asking for help to unload and distribute goods. If you would like to help in any of these ways, check out Brad’s website. Shop our Online Store featuring parts diagrams for every BMW model. Ordering parts and accessories has never been easier. Choose your bike, look at the diagrams and place your order. We have over 45,000 parts in-stock and our Parts Express team processes and ships orders six days a week via UPS, FedEx and USPS. 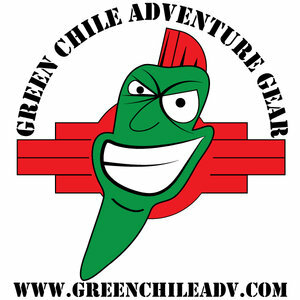 Home of the CyclePump Tire Inflator, TireIron BeadBrakR, EZAir Tire Gauge, and other adventure motorcycle gear. When you’re on the road you’ll want a compact and reliable method of tire inflation. The CyclePump runs off your bike’s electrical system and it’ll fill a flat tire in less than 3 minutes. It’s made in the USA and it comes with a 5-year warranty. BestRest also makes tire changing and tire repair kits that are small enough to fit in your saddlebag. The crew at BestRest are adventure riders themselves, so they know what you’ll need when you’re exploring the world. Offering American made heavy-duty, innovative motorcycle luggage systems for all types of motorcycles. Tested in extreme weather conditions and terrain to withstand any abuse you can throw at it on your adventure rides. To complement riders’ needs they are also the exclusive USA distributor of Outback Motortek, a Canadian company specializing in adventure and touring motorcycle protective accessories. Outback Motortek offers ultimate and essential protection for your adventure bike. These accessories could be your best investment to save you from replacing your damaged bike with the ever-expensive factory parts. Available at www.GreenChileAdv.com. Posted on June 9, 2016 by Elizabeth Martin and filed under Adventure, Charity, Motorcycle, Women Motorcycle Riders and tagged Mary McGee Woman motorcycle legend brad barker ecuador operation ecuador inspirational competitors riders racing enduro motocross vintage FIM FIM woman legend the ride of my life positive earthquake club rawhyde coalition of hope foundation brosters max bmw bestrest green chile adventure gear aerostich jim martin adventure rider radio 2016-a charity.